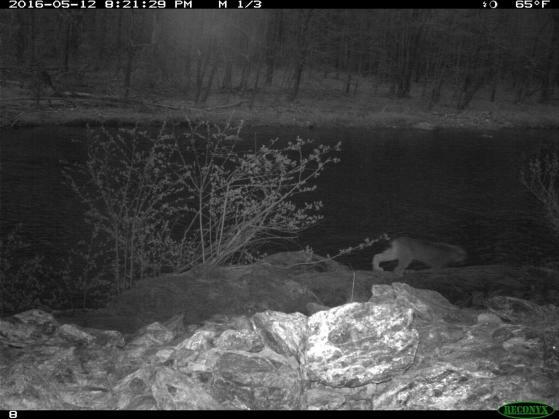 This month, a Vermont government scientist made public two photos of a Canada lynx. One of the photos was taken this year in Searsburg, Vermont, which is about seven miles from Massachusetts and 30 minutes from Brattleboro by car. The other photo was taken this year in Londonderry, Vermont, also about 30 minutes from Brattleboro. Lynx are listed as “threatened” under the federal Endangered Species Act and “endangered” in the state of Vermont. Chris Bernier is a wildlife biologist for the state. 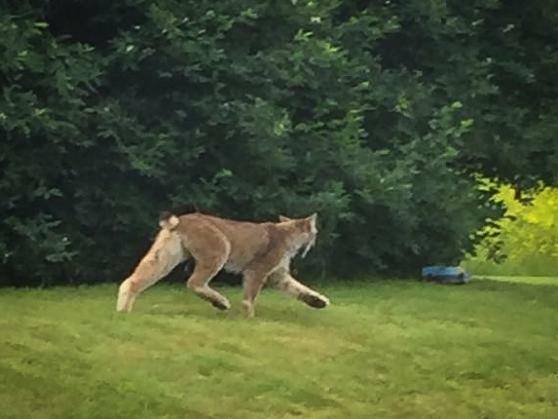 He said it was probably the same lynx is both photos, even though the two towns are about 40 miles apart. Searsburg is in the Connecticut river watershed. Protecting open space is key to the lynx's survival, Bernier said. Finding one could mean legal bans on developing the woods where they live. Politicians decide how much to invest in protecting open space, versus the military or prison for non-violent people. The USA spends far more on the military than any other nation on earth, and has the highest incarceration rate. To enlarge a photo, click on it, then scroll down and click “see full-size image.” The color photo is from Londonderry. These photos are used with permission from the state of Vermont.